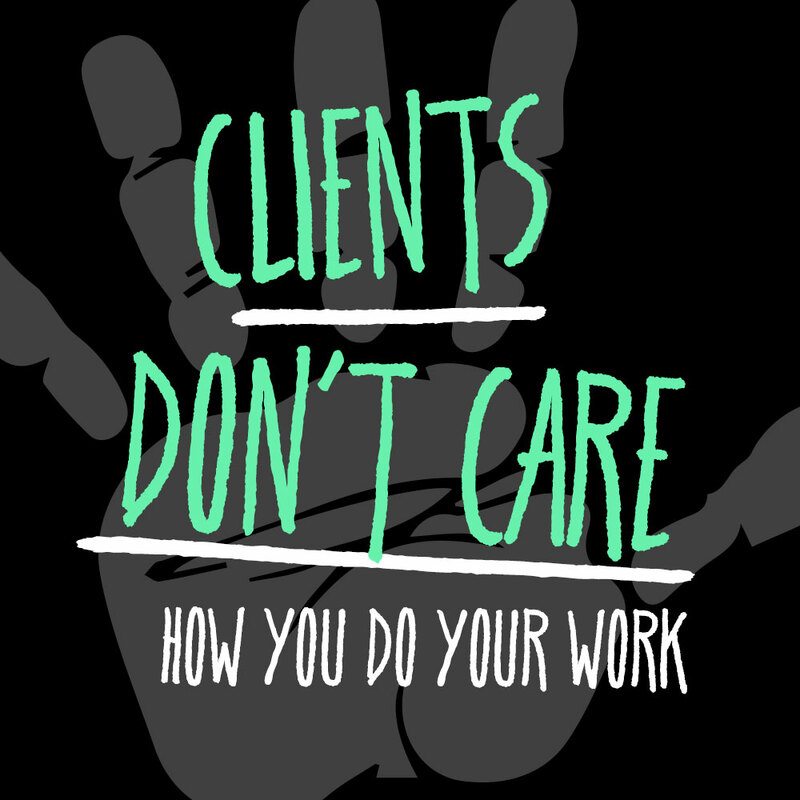 You’re really good at what you do, you’re really talented, and you’ve got a great portfolio, so why aren’t new clients beating down your door? Many times, when we’re on an initial call with a client, we jump right in to telling the client about the features of our services instead of the benefits we offer. We explain this awesome new typeface we’re going to use, or in my case, how I’m going to use my experience with behavioral psychology to understand the consumer. We love what we do, so it’s exciting to us to talk about how we will do the work instead of what the result of the work will be. Make sure to highlight the benefits first so that your clients understand exactly what your service can do to help them. You may be thinking, What the hell are you talking about, Marisa? I do great work and that’s all my clients need to know. The world is filled with wonderful and talented freelancers living PayPal deposit to PayPal deposit because they have no idea how to properly talk about what they do. If you don’t want to be that starving freelancer, bumming a cigarette at your local dive bar and praying for a discount special on the PBR, you’ve got to understand the difference between benefits and features. A benefit is how your product or service helps the consumer. It’s the problem that your product solves. The need your service addresses. If you’re selling online fitness coaching, the benefit you’re selling is a hotter body, weight loss, and better sleep. Another example is the iPod. When they launched, their marketing highlighted this: 1,000 songs in your pocket. I want my songs, and I want them now. Enter iPod. A benefit encapsulates the emotion surrounding the product. It’s how the product helps me, and how it makes my life better. Benefits are exciting and aspirational. They make people perk up and pay attention. A feature is how your product or service works. It’s the technicalities, the software, how the work is put together. And often, features are also kind of boring. If we look at online fitness coaching again, the features would be workout plans with eustress training and plates full of vegetables. If you’re new to fitness, which one of these sounds better to you? A benefit you can understand, like weight loss, or a feature that you’ve probably never heard of, like eustress training? To take another look at iPod, the feature of their product was storage for 1GB of MP3s. And even if you’re tech savvy enough to know that’s a lot of storage, the benefit of carrying 1,000 songs in your pocket is far more impactful. The feature is the fact about the product. It’s how the product actually works. When you’re on the phone with a client then, it’s important that you highlight the important benefit you bring. Most of the time your clients won’t care about your seamless, unobtrusive, and beautiful design features. They care that your design generates more sales. The first thing you need to consider is what your clients pain point is. Maybe their site isn’t getting enough subscribers. Maybe they’re worried about working with a freelancer because the last one was awful. Maybe their customers are having trouble navigating their site. You’ve got to figure out what the problem is before you can understand why they’re coming to you. Let’s use a short example. Let’s say that your potential client sells a productivity app. They want to talk about hiring you to work on the branding for their app, and that’s all you know before the call. It’s not a lot to go on, so you’ve got to ask very pointed questions that get to the root of their need. They think they just need help on branding, but what they actually need is most likely a more compelling way to get customers. The funny thing about people is that we think we know what we need, we’re sure we know what we want, but all we ever really know is what we’ve liked or disliked in the past. So start with a question that’s easy to answer. A person can always tell you what they don’t like. Framing the question this way helps us avoid the feature pitfall. What the service accomplishes is very different from how it accomplishes it. People don’t care about the how. They don’t want to know about the technology. They want to know what it does. People do know what results they need in order to succeed. Maybe they need more subscribers. Maybe they need more people to buy a certain product on their site. It’s easy for people to tell you the results they’re looking for, even if they don’t know exactly how to get there. The client may not know exactly what the expect for their branding, but they do know what results they want, and what affect they hope it has on customers. Again, what you are going to do is different from how you’re going to do it. When I’m trying to help a client get more customers for a product, the how I do it is by creating an email marketing funnel. What I do is create marketing that gets the user base excited about the product. As creatives we love our process, but we don’t always need to tell that to our client. I love the way words and phrasing work together. If you’re a designer, you probably love the way typefaces, color schemes, and software work together. But many times our clients don’t care about this. They only care that it works, and they’re happy to offload worrying about how it works to you so that you’ll make something that just works. Now, I’m not saying to back off of features entirely. You want to show that you know what you’re talking about, after all. So, after you’ve discussed the benefit you can bring, back this up with the features of your service. Showing that you have industry knowledge helps create trust. For example, you want a copywriter who is easy to work with and is great at communicating (the benefit), but who also understands behavioral psychology when creating content for your consumers (the feature). When you’re talking to people that do care about the feature side of it, bring the features into the conversation. Just don’t make the mistake of assuming that since your potential client is also into the latest software, that they’ll pick you based on that logic alone. None of us are as logical as we’d like to believe, and talking about the benefit you bring will get you much further than just explaining the features of your service. You don’t have to ask many questions to understand the benefit you can offer for each of your clients. And remember that the benefit will be different based on what they’re trying to accomplish. Whenever you’re struggling, and trying to decide if you’re talking about a benefit or a feature, ask yourself, “What am I really selling? What’s the reason my client is interested in this service?” For example, I don’t sell website content â I sell customer awareness. You don’t sell logos â you sell a story. People purchase with their hearts as well as their minds, so make sure that you’re also addressing their emotions when talking to them. Let them know you understand why they actually need you, and what you’ll do to help them reach their goals. 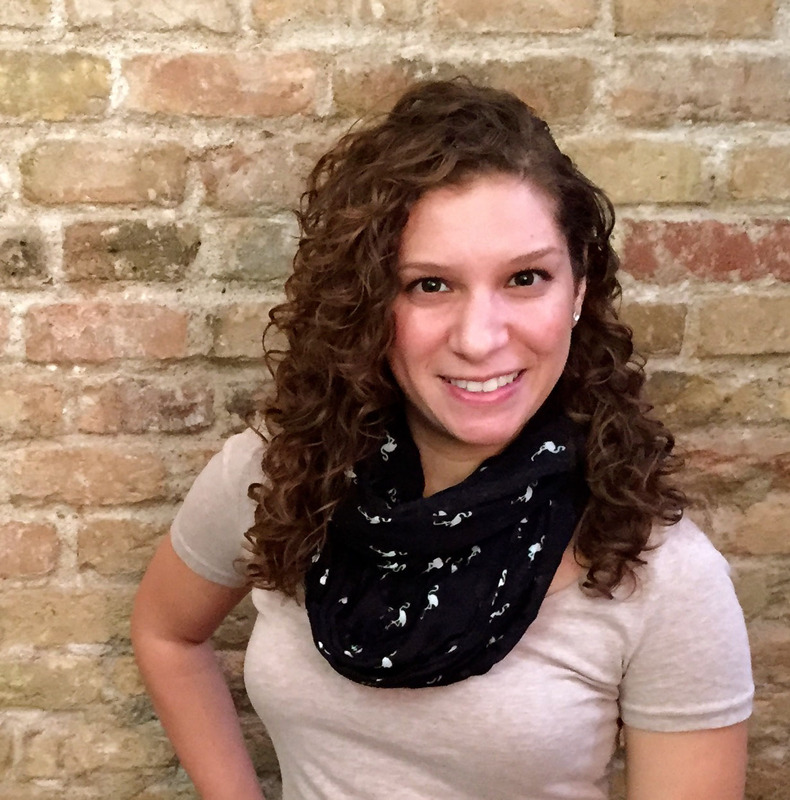 Marisa is a copywriter who loves traveling, working on creative projects, and starting great conversations with new people.